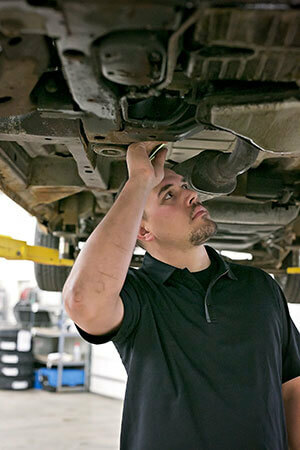 Our staff consists of ASE Certified technicians, who are committed to providing you with the best automotive service. We truly care your service with us and the way you feel after the experience is over. We want you to feel good about it and to come back again! From things like our waiting room, to our restrooms, to —of course our auto repair service!—we take great pride in making sure we offer only the best. Check out a location that’s convenient for you and get more information! We offer a Lifetime Warranty on collision repairs and a 12,000 Miles / 12 Month Warranty on Premium Auto Repair Parts and have state of the art equipment in order to give you the best service available. Please ask for information on our Lifetime Warranty prior to scheduling your repairs. Whether you’re in need of a simple oil change, or a complicated diagnostic service – we can help!